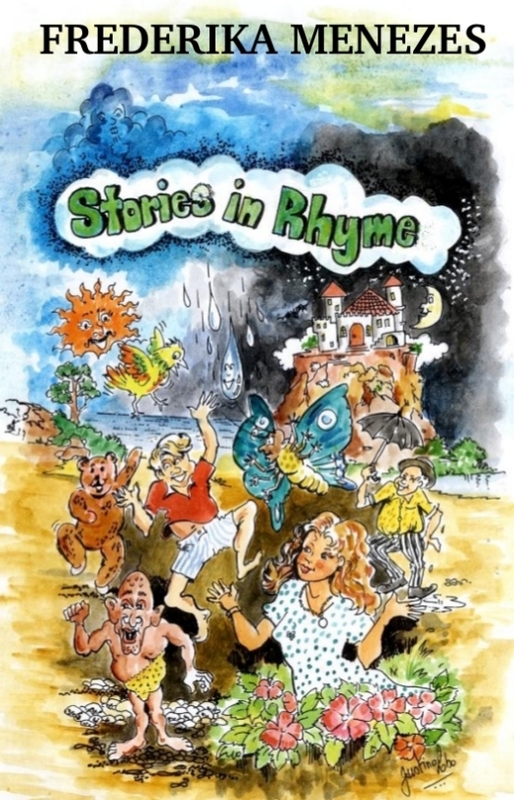 ‘Stories in Rhyme’, a book of verse for children written by Frederika Menezes will be launched on May 29, at Sunaparanta Goa Centre of Arts, Altinho. Beautiful illustrations by Justin Lobo. Coming in an ebook version too. It is hard to define life as each one of us has a different interpretation. However, when you meet young writer Frederika Menezes you get the feeling that here is one who can actually define life for you. A cerebral palsy patient Frederika suffers from physical disability, but there is no room for complaint in her life and on the contrary is happy for all life has given her. “I’ve been lucky all along and I acknowledge that”, says Frederika.These days Frederika has more than one reason to be excited about life. Today, two of her books are being released – Unforgotten, a young adult novel, and Stories in Rhyme, a book of verse for children. “I just love writing; it is my passion. I write everyday”, says Frederika, who takes inspiration for her writing from day to day life. “Everything in life serves as inspiration for me. When friends speak about their experiences or memories, it inspires me. Even this conversation between you and me is inspiring”, adds Frederika. For Frederika her strength comes from family and friends whom she cherishes. She is constantlyin touch with friends over emails and social media. She believes that technology has made life easy for her. “Technology is helpful for everyone, not only me. I type with two fingers and I am quite fast compared to people who type with both hands”, quips Frederika, who started typing with typewriters. Frederika, a veritable picture of youthfulness and liveliness, says she feels disgusted when she hears of suicides, especially among the youth. “I feel disgusted when I read about youth committing suicide. One needs to look within and see what you are good at and explore it”, she says.